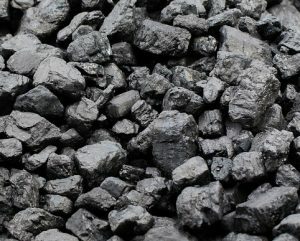 What is Activated Carbon (charcoal)? Activated carbon is useful for removing organic pollutants, tannin, smells, and chlorine in pond water. Activated carbon, also called activated charcoal, is a material used for the chemical filtration of pond water. The term “chemical filtration” refers to the effective neutralization of harmful dissolved chemicals that cannot be removed with regular mechanical or biological filter media. Activated carbon can be considered another layer of filtration media, turning the normal 2-stage (biological & mechanical) process into an expanded 3-stage filtration process. Chemical filtration with activated carbon has seen an increase in popularity in recent years, especially with pond owners with fish stocked ponds. It can effectively remove a large range of organic pollutants and chemicals, making it a great choice for improved water clarity and purity. These are all organic pollutants that normal filter media will struggle to remove on its own. One of the most common is tannins, which is organic color from debris, such as leaves, grass, or bark. This can often leave your pond with a brown color which activated carbon can help reduce. It is also highly effective at neutralizing chlorine from tap water, so would be suitable for water changes or newer pond builds. Activated carbon is also extremely useful for fish stocked ponds, especially koi ponds, as excess pheromones produced by fish can reduce the growth of surrounding fish. The carbon will neutralize these excess chemicals and bring the water back into a more balanced state for fish. Activated carbon provides chemical removal and filtration for pond water, enhancing quality and clarity. Activated carbon is a form of carbon with tiny, small-volume pores which greatly increase the surface area of the substance. This microporosity means activated carbon has a very large surface area for chemical contact and neutralization to occur. Any organic substances that come into contact with the surface of carbon will induce a chemical reaction or be “adsorped” (not to be confused with “absorbed”). The process of adsorption is the adhesion (clinging) of atoms, ions, or molecules of a substance to the surface of the carbon itself. Harmful organic chemicals which touch the surface of the carbon will be neutralized via this process, slowly forming a film of adsorbate material across the surface of the carbon which would eventually need to be replaced. The best activated carbon will be highly porous in nature, having the largest surface area possible. The more surface area that is available for contact, the more effective chemical adsorption will be, and the more chemicals will be neutralized. This process of chemical neutralization doesn’t effect the balance of pond water, and adds no negative substances back into the system as a by-product. This is why activated carbon is the preferred choice of chemical filtration for garden ponds. Activated carbon is a very effective chemical neutralizer, meaning it can also interfere, and effectively remove, any medicine you’re giving your pond fish. It will also reduce the effectiveness of algaecides and pond water dye products. The best time to use activated carbon is after a course of medicine, and after a treatment of algaecide or water dye. By doing this, the activated carbon won’t interfere with the process, but will help remove any lingering residue after treatment has ended which can slowly build up and cause issues long term. If you’re not treating your pond with any particular chemicals, activated carbon can be used any time you want! It can be used when problems occur, such as discolored water, or it can be used constantly at a maintenance dose to keep your pond water as clear as possible. One of the main reasons to use activated carbon is to remove tannin from pond water which causes gradual discoloration. Tannin is organic color pollutants that can leak from debris, such as leaves, pollen, and grass. These find their way into pond water naturally, and as they slowly build up, they gradually leak color into the water. This color, which is usually brown, is difficult to remove once levels have built up without performing a large water change which can be harmful to a ponds balance. Activated carbon, however, is very effective at removing these organic colors, and does not require any removal of water. Once the color comes into contact with the carbon, its organic structure is changed and color proprieties removed. Activated carbon will effectively neutralize heavy organic chemicals that your biological and mechanical filter media cannot remove. If you have recently treated your pond with algaecide, or with medicine, activated carbon will remove any lingering residue that is left behind. Other common pollutants that can increase over time include pesticides and insecticides. Even if you don’t use these directly, they can come into contact with your pond through air and dissolve in the water. If any of the surrounding houses have gardens and use these substances, chances are some have found their way into your pond! Activated carbon will also help remove excess chlorine from water which can build up when performing water changes, or with newer pond builds. If you have a fish stocked pond, activated carbon can help with both fish growth and overall health. 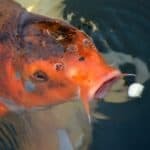 Pond fish naturally release pheromones as they grow, and in a heavy fish stocked pond, the levels of pheromones can actually reduce the growth rate of other fish. Adding activated carbon will help neutralize excess pheromones in the water, bringing the levels back into a more natural range. On top of this, carbon will help remove harmful substances that can cause fish to become sick, or interfere with overall health. Smells and odors are usually the result of an in-balance of organic substances within your pond water. An increased amount of sulfates, for example, can cause the pond to have a smell similar to sewage, which can be a result of excess bottom sludge. Most of these smells are organic and can be easily removed by activated carbon media. Adding the carbon to your filter box will slowly reduce the substances causing the smells, and the odor will be removed over time. What Can’t Activated Carbon Remove? Activated carbon can neutralize chemicals already in your pond, but it likely can’t help remove the source of the problem. If the chemical source isn’t remedied, once you stop using carbon, the chemicals will slowly build up again. For example, if the problem is brown pond water caused by color leakage from organic debris, activated carbon can only help remove color already in your pond water. As more debris enters your water after treatment, the color will slowly return. To maximize the benefits of activated carbon, you always need to consider the source of the problem and try to remove it or reduce its presence within your pond. This could be as simple as purchasing a pond net for debris, or treating tap water for chlorine before adding to your pond water. If you have green pond water caused by an overgrowth of algae in your pond, activated carbon will not be able to remove this by itself. It can help reduce substances that allow algae to grow faster, but it cannot stop algae from growing and spreading. To combat algae, you would need to use a UV water clarifier or an algaecide treatment. It almost all circumstances, we recommend a clarifier over chemical treatment, as this can work alongside activated carbon for maximum results and is generally much safer for your pond. Pond sludge, or pond silt, is decomposing organic matter from fish waste, leaves, and anything else than sinks to the bottom of your pond. As the sludge decomposes, it releases harmful substances, some of which activated carbon can remove. To completely remove or reduce sludge, however, you would need to either treat the sludge with a sludge removal product or manually remove it with a pond vacuum. Activated carbon will work best with lower amounts of sludge where harmful substance levels are lower and easier to neutralize. Activated carbon can be picked up from a range of brands and comes in a range of different sizes. Two of the most important factors when considering activating carbon are its purity and maximum surface area. The best activated carbon will contain only carbon and have a very large surface area for chemical neutralization to occur. Our two favorite activated carbon choices are listed below for both US and UK pond owners. These have a fantastic surface area and are made from very high quality activated carbon for effective chemical filtration. Dosing instructions will vary between manufacturers, and also depend on the number of chemical/tannin in your pond water. As a general guideline for dosing, we find that around 4-6 lbs of activated carbon is enough to effectively treat 1000 US gallons of pond water. If your pond is especially heavy in chemicals or color, you can use up to 10 lbs of activated carbon as a kick start per 1000 gallons. Activated carbon is best placed within a strong area of water flow, with an ideal place being inside your filter box or under a waterfall stream. The activated carbon should be placed inside a mesh filter bag so it doesn’t escape, and then placed in the area of water flow. A basic biological filter media bag can be used so long as sufficient water can pass through the carbon and the mesh is fine enough to hold the material itself. Depending on the size of your pond, you may need to use a few bags of carbon to efficiently threat your pond water volume. How often should I replace the activated carbon? Using high quality activated carbon, we recommend replacing the product every 2-3 months. This will allow sufficient time for the activated carbon to maximally use all available surface area for adsorption and chemical neutralization. If your pond is chemical or color heavy, you can replace every few weeks initially until you achieve cleaner pond water. A maintenance dose every 3 months is than used for maximum on-going benefits. Activated carbon must be replaced every 3-4 months, and should not be left much longer. After the maximum surface area of the carbon has been used for adsorption material, further contact can cause surface material to break away and re-enter your pond. The more frequently you can replace your activated carbon, the better! By the sounds of it, your foamy water may be caused by a mix of organic debris and excess nutrients/proteins in the water. Activated carbon should help, as well as regular water changes and water quality testing. Getting some active filtration back in place in future would also be something to consider, as this will definitely help prevent it returning and greatly improve the efficiency of your beneficial bacteria. Hello,can I add the activated carbon inside the pond directly? Yes, but for the best results, it should be added to an area of high water flow, such as within a filter system. Adding carbon directly to the pond won’t cause problems, but it won’t be nearly as effective. High aeration/flow will be able to – 1) bring as much matter into contact with the carbon as possible, and 2) remove current neutralized matter on the surface so new material can be treated. If you don’t have the option of adding carbon to your filter, I’d recommend adding it into a fine mesh bag and simply letting it sit/float around an area of high flow.